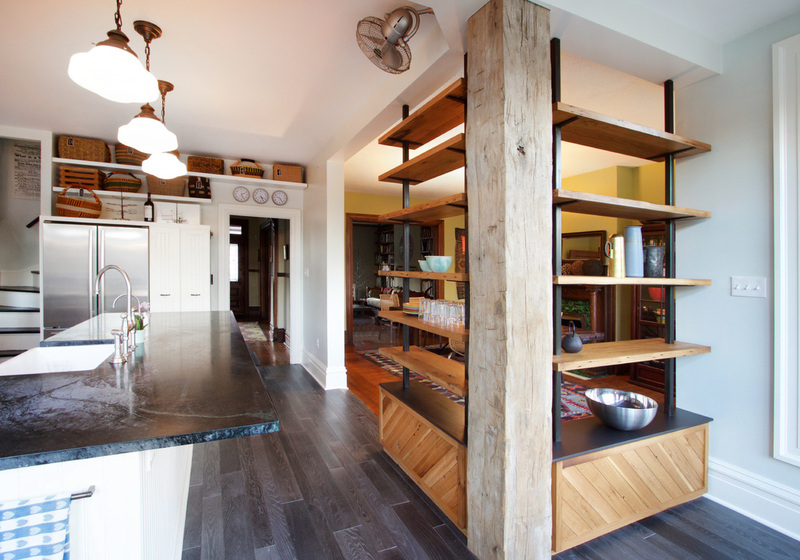 The final gesture of a lengthy home renovation/restoration, the homeowners sought to partition their modern kitchen from the original dining room, while accentuating a large reclaimed structural column between the two spaces. 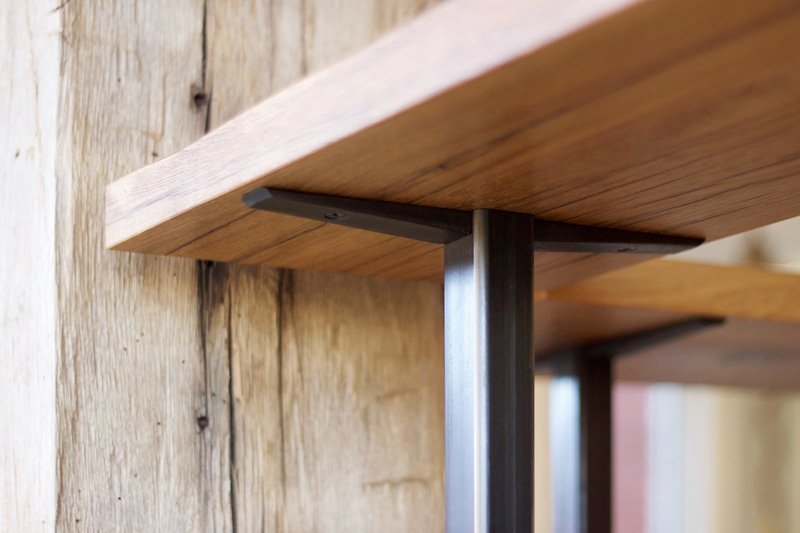 Designed in collaboration with EngineHouse, this shelving system allows light and views to permeate while enclosing the intimate dining room. 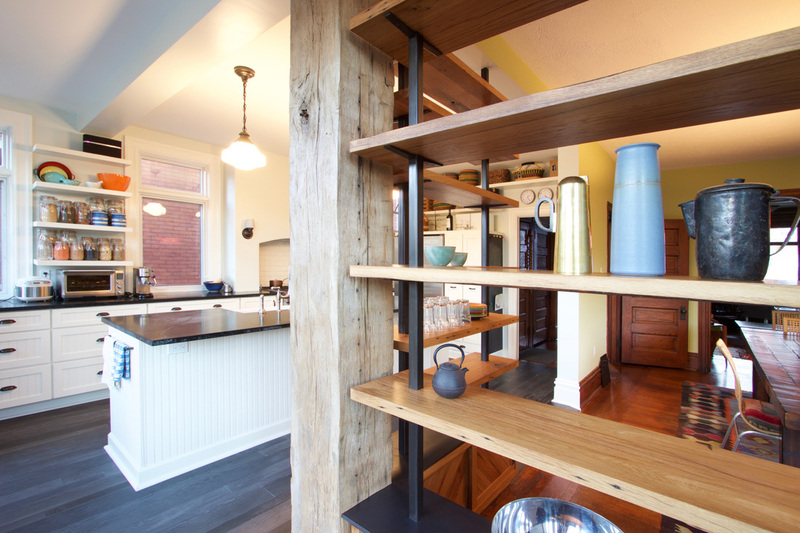 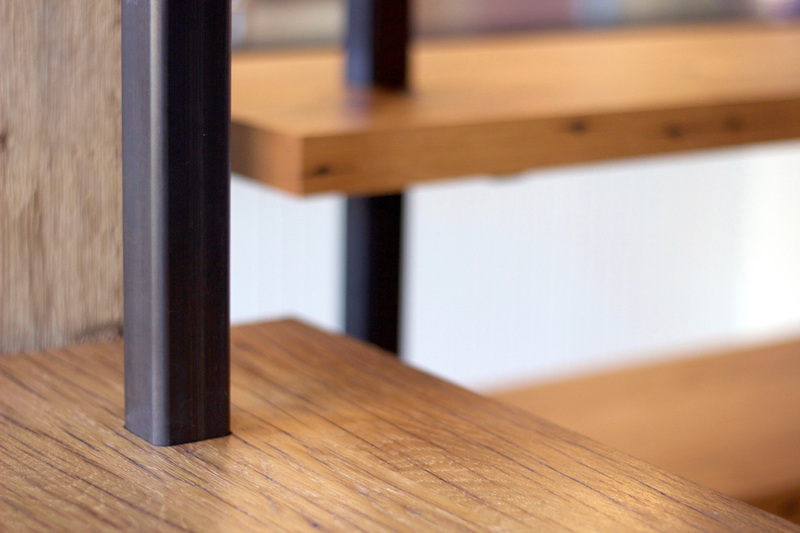 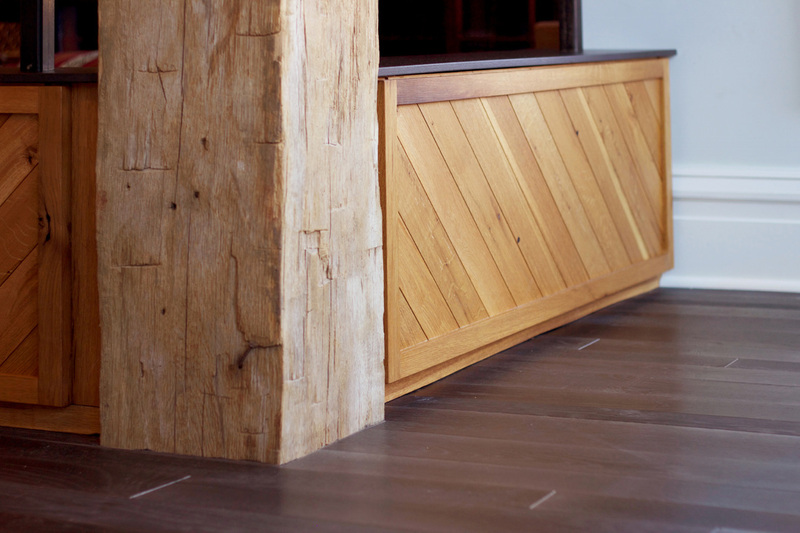 The shelves, crafted from reclaimed white oak barn rafters, hover around the weathered column. 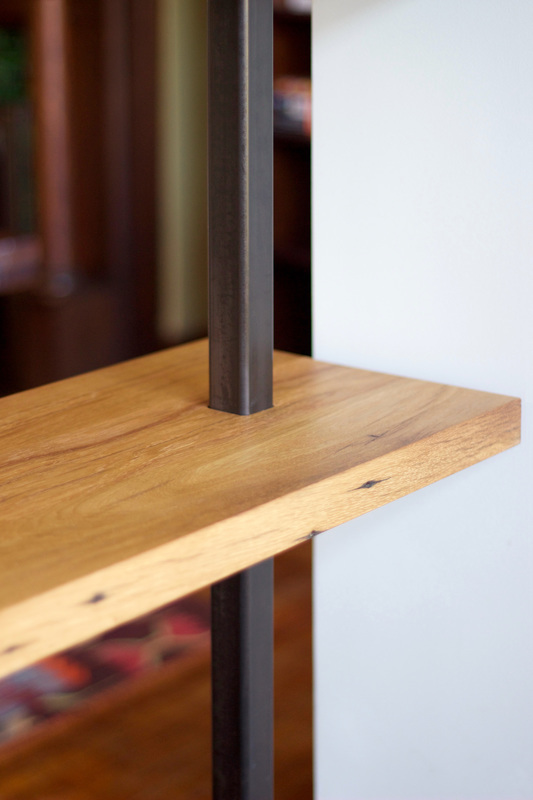 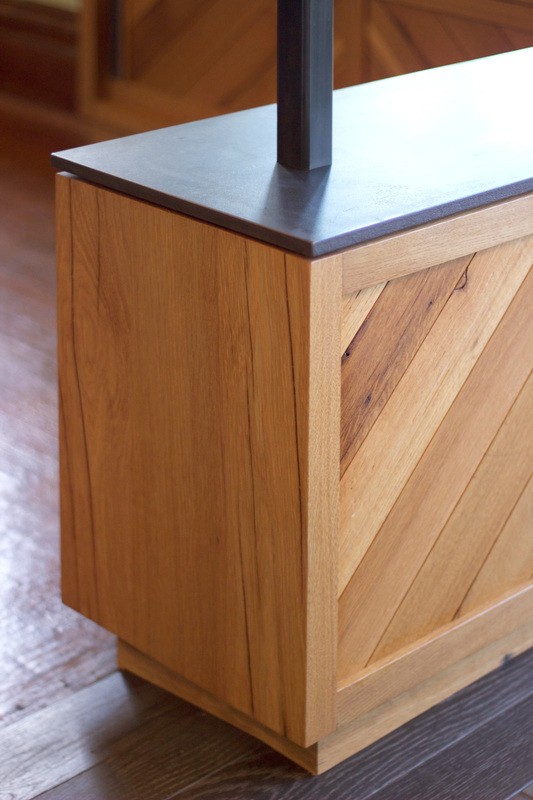 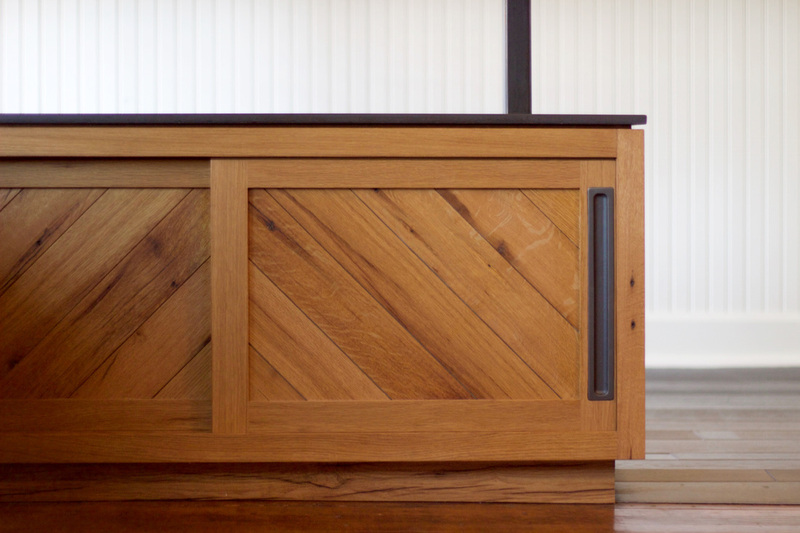 Steel-topped base cabinets ground the shelves, and establish a quality of permanence to the installation.